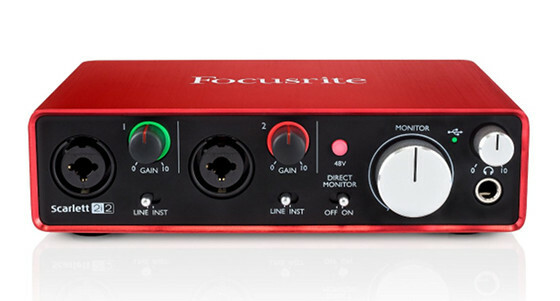 Focusrite released updated drivers yesterday for their 2nd gen Scarlett USB audio interfaces. The new driver version is 4.11.0. It includes some bug fixes and it adds new artwork to the ASIO control panel. Last week I had posted about how I’d gone back to using the 1st gen 2i4 over the 2nd gen 2i2 because the 1st gen drivers have less issues, so I was glad to see the new update available. I haven’t had long to test the new 4.11.0 update yet, but I am going to go back to using the 2nd 2i2 again to test it out for a couple of weeks before making a final determination if I want to keep it or not. One thing I can say is that the new driver does not fix the main problem that I was encountering, but it did help me figure out part of the problem so that I can work around it. Something about the 2nd drivers don’t play well with the CamStudio screen capture program. Using screen capture causes the drivers to go haywire. With Pro Tools it will double the CPU usage, even after the screen capture program is turned off and closed. And then even after the computer is restarted it’s still haywire until manually adjusting the buffer size from within Pro Tools. Using the ASIO app doesn’t fix it; it has to be adjusted within Pro Tools to get CPU usage back down to normal. Then I plugged the 1st gen 2i4 back in to test it and using screen capture with it doesn’t cause the CPU meter to go up one single percent; it runs perfectly at the same 44kHz/64 samples setting. After some more testing, something else causes the drivers to crap out too. Even without using screen capture the CPU usage goes haywire with Pro Tools and the buffer size has to be adjusted to fix the problem. Actually pretty much every time I start Pro Tools I have to toggle the buffer size to get it to run smoothly. Thanks for you come back, you “confort”? me to buy the Steinberg ur 242. Try using OBS Studio instead of CamStudio, surprisingly it is one of the few programs which works well with my Solo 2nd gen with the current drivers. I’ve noticed that with the new drivers when I set my 2nd gen to 48khz/64 samples, it’s a lot more stable than with 128 samples or higher, not sure why that is. But with either setting I still get random audio issues here and there, it’s quite annoying. Currently waiting for an Audient iD4 to get in stock so I can return the Solo 2nd gen, Focusrite needs to get its driver game in gear, this isn’t really acceptable. I just noticed that Pitbull Audio has the iD4 for sale on eBay right now. There’s also the option for a free Mogami instrument or mic cable. I like Pitbull Audio; I’ve ordered from the a few times in the past because they usually take a little off the price if you submit a reasonable offer. I submitted an offer on the iD4 so I’ll be getting one this week. Sadly I’m mostly stuck with UK shops (import duties), but from what I gather the iD4 should be in stock within a week or so. Can’t wait to check it out, only heard good things about Audient. If I can’t find the iD4 I’ll just stretch a bit and get the iD14 I think. PS: Can’t wait for your iD4 review. And a comparison to your 2nd gen Focusrite would be very neat! I’m looking forward to comparing it with the 2i2 as well. They’ll probably fix the drivers for it about the same time I start liking the iD4. Nathan/Andrei – I’m sorry to hear that you’ve been having some problems with the driver for your Scarlett. We are constantly working to improve our drivers. With the release of the Scarletts only being around a month ago, the driver has only just been exposed to a very large amount of systems (we do of course test on many systems prior to release, but it’s not possible to test on every system out there). Once again, I’m sorry that you’ve had some problems but we will of course be happy to look into this further for you should you wish us to. Considering the state of the release drivers, I’m not sure how much effort was put in testing, given that they were causing IRQL_NOT_LESS_OR_EQUAL blue screens on the most common USB chipset there is (Intel USB) in Windows 10. I am also not sure how many of your customers would appreciate being beta testers either. I took a gamble with the Scarlett 2nd gen, I’ve read that Focusrite wasn’t exactly the best with Windows drivers and I got burned. I’ve returned my 2nd gen now and I’m going to buy an audio interface from a company that has a better track record. Sorry if this seems harsh, but my entire experience with the Focusrite Scarlett Solo 2nd gen was pretty bad and from my point of view the only way a company will understand they need to work on an issue is if they lose sales because of it. Although this is old thread funny thing is I am looking for a usb interface to replace my stainberg ur22 and I am having same problem as you. As well my stainberg drops audio pop and crack depending on the driver version. I was thinking on getting scarlet 2i2 but now i might just be convicted that the problem is with windows 10… I am very frustrated with those usb interfaces…. I’m very sorry to hear that you had a bad experience with a Scarlett Solo. We do take driver creation and testing very seriously and we certainly do not expect our customers to be ‘beta testers’. We were aware of some blue screen issues with version 4.8 of the release driver, this was swiftly corrected and we’re not seeing the same issues with the current release build (4.11). Blue screen issues tend to be the result of often fairly complex driver/process interactions. While we test with as many different hardware combinations as we can, it’s not possible to test with every configuration of USB chipset, USB chipset driver revision, graphics card, WiFi/network adapter, BIOS version, operating system build etc. As mentioned in my last post, we are continually working on our drivers to improve both performance and stability across all systems. Once again, I can only apologise for the bad experience that you had with your Scarlett Solo. If you have any problems or would like any information about any of our products in future please get in touch and we’ll do everything we can to help. Having problems with the driver software installing on my alienware 14 computer. 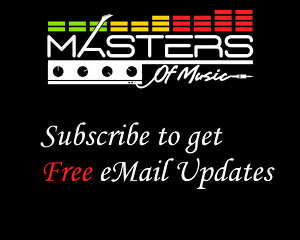 See the known issues section for the driver download at Focusrite. There are a couple of help articles. I’m having terrible problems with this device. I’m on PT 12.5 – win10. I bought this device ’cause I hoped it would have better drivers than my Tascam us-2×2. But it’s even worse! Almost impossible to get it to work on my PT-system. I still have problems getting it to work with Pro Tools too. Usually toggling the buffer size within Pro Tools fixes any audio distortion issues but there seems to be a bug when switching between sample rates. Sometimes I have problems getting it to work at 44 but it works fine at 48. I don’t have any problems with Ableton Live or Bitwig so I don’t know what the deal is. You might try their special Pro Tools driver but it’s supposedly only for the free version. and a have the same problem as Nathan ! in Protools too. Funny that the program competitor Presonus Studio 2 in my interface Scarlet 18i20 works perfectly, but with the Protools which is a partner of Focusrite product does not work. I have used 3 hours already and now I am done. And it does not move… f*ck !!! I will return this for a refund and write a negative review !! Ive just bought my scarlett 2i2, and it doesnt work with win7-64, where could i find driver ver. 4.11 ? If anyone experiences the issue with the lights on the Focusrite blinking and your computer won’t recognize your device, here’s how i fixed the issue (https://www.youtube.com/watch?v=fRudBYR_H84) and you won’t believe what caused this issue for me. I’ve experienced a similar problem before too. I noticed if the USB cable is too long it won’t work right. I have 10 foot cables that work fine with MIDI devices but won’t work with audio interfaces. My 2nd gen 2i4 is about 3 months old now. I had to borrow a friends PC because it still doesn’t work on my Win-7 (64) system, even after doing a full update. On my friends PC (win-8), it worked but while using Reason-4 via Rewire in Cubase-5, the DSP meter (in Reason-4) is fully in the red. Returned the Win-8 system and now I’m sitting with a brand new 2i4 about to be sold. I used the 1st gen 2 years ago without any issues and thought this would be similar…..the usb cable is also extremely short and can’t be switched to a longer one, because then the unit doesn’t work….what a waste. That is weird. I’ve used the 2nd gen 2i2 exclusively on a Windows 7 64 bit PC and it’s been working great, especially with the latest 4.15 driver. It must be something other than the OS that’s causing the problem. Likely non compliant cables or USB ports that can’t supply enough current. Would recommend anyone, before writing off, test their interface with a brand new, short, branded cable, on a desktop PC, using an onboard USB3 port in the back, not a header/extension/hub etc. Good advice, except the part about USB 3. You should always use USB 2 ports with audio interfaces unless they specifically support USB 3 because that can cause problems too. My last interface would constantly cause blue screens when plugged into a USB 3 port! problem solved. use 3.2.2 driver from the beta focusrite site. yea this is horseshit. I cant get the driver on windows 7. am i supposed to buy a new computer?? @kingfishers what does 3.2.2 driver mean?? HELP!!! someone?? That’s a 1st gen driver. Just contact Focusrite support if you’re having problems. The internet is so bizarre. No one would ever just go up to random people on the street and ask for help with Windows drivers but on the internet stuff like that is common practice. Contact the people that get paid to answer those questions. Everyone else has their own problems to deal with and aren’t likely to provide much help. scarlett 2i2 2nd generation driver don’t install on window 7. l can’t also find the device on my computer. I’m tired of this issue…. please help!!!!! !